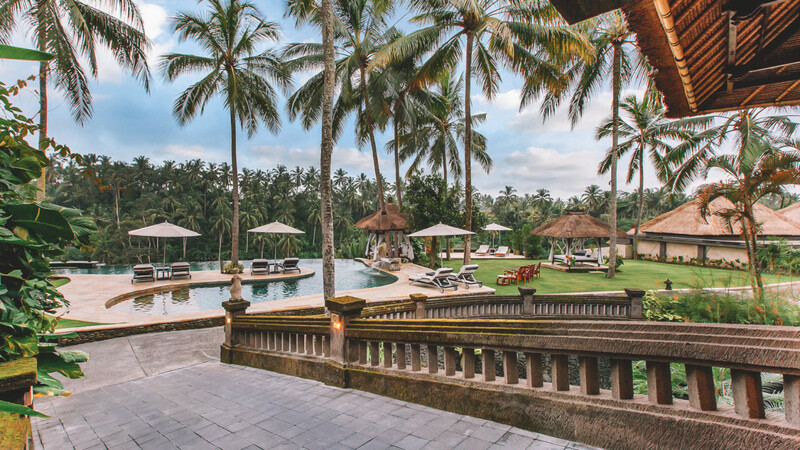 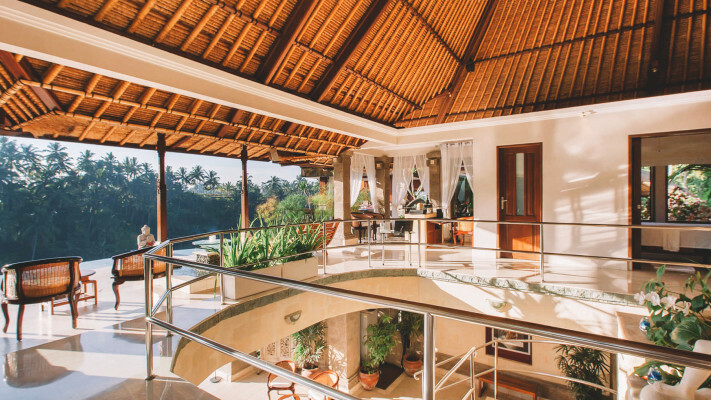 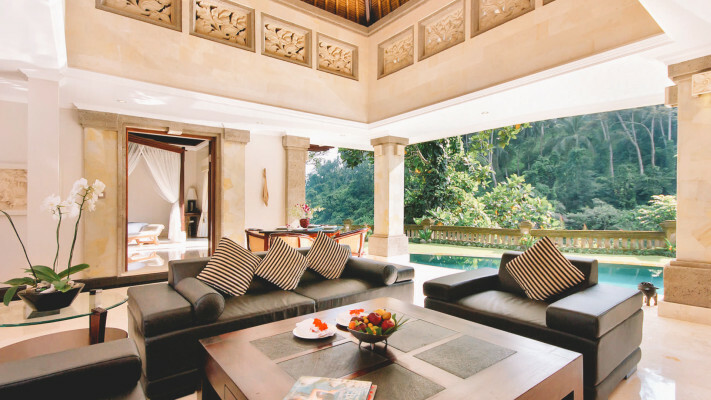 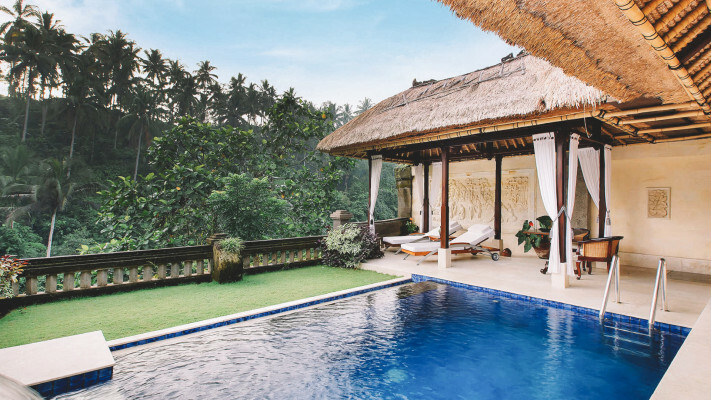 Breathtaking vistas abound at this Ubud Viceroy venue. 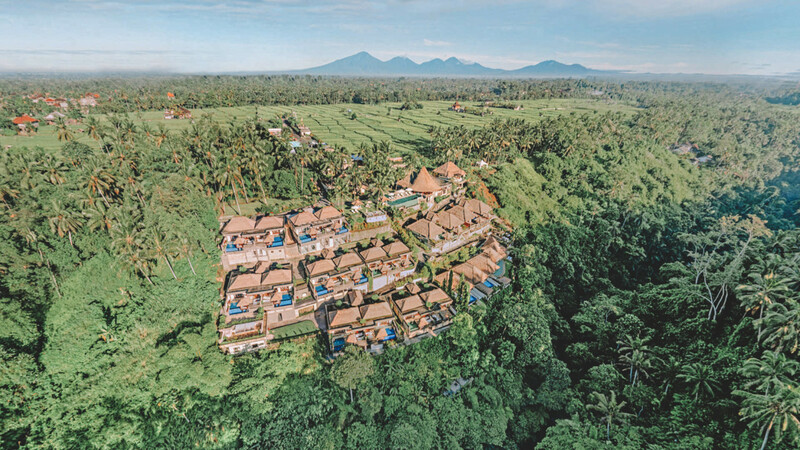 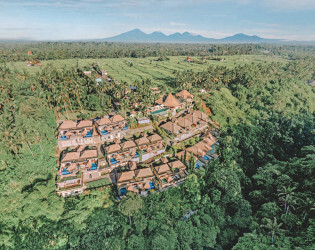 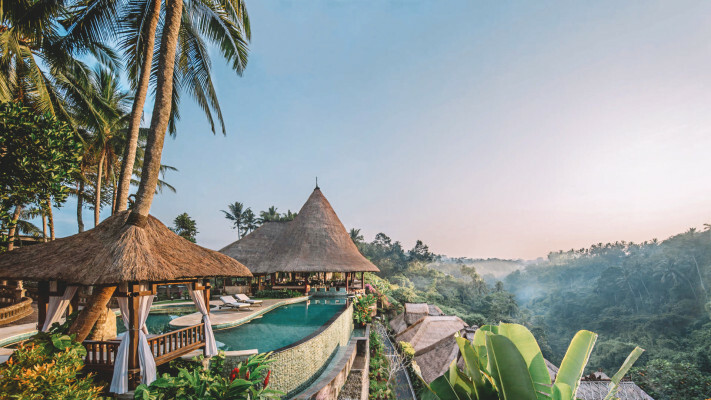 Sweeping views of the trademark Ubud Valley of the Kinds from the infinity pool make this family-owned resort pure paradise. 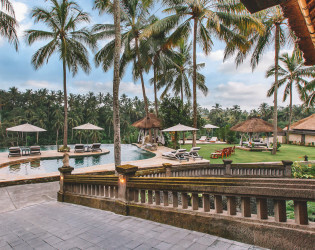 Fabulously five-star, vibrant flora and fauna are a fantastic backdrop for any first-rate fete. 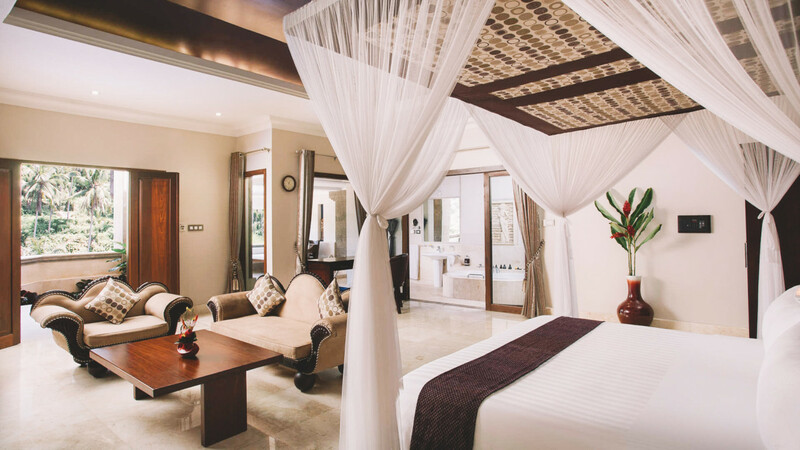 Grab your globetrotting guys & gals for a glamorous getaway or your nearest and dearest for intimate I-do's. The serene and luxurious setting of Viceroy Bali is a wedding venue par excellence for brides and grooms favoring any style of nuptials. 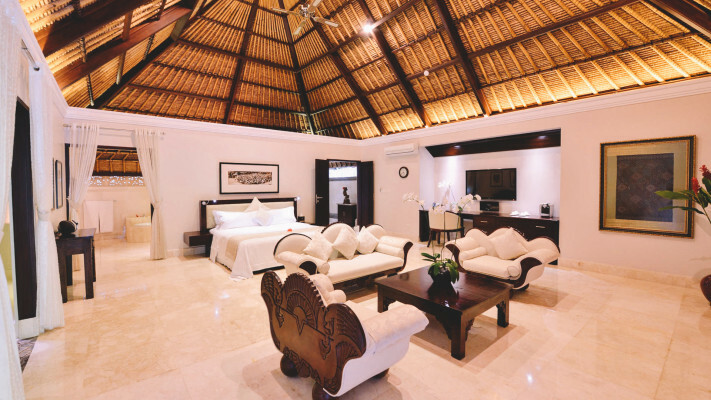 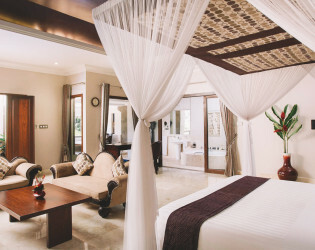 While intimate and relaxed in style, the Resort offers facilities, accommodation, and service fit for royalty, including a dedicated Guest Service Manager who is available to coordinate every detail of the wedding celebration. 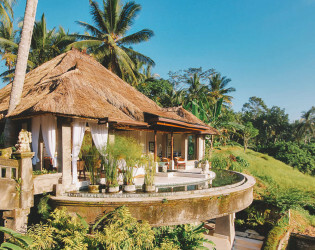 Classic western-style weddings are well-hosted, but for those seeking an extraordinarily romantic ceremony and reception, a Balinese theme can be arranged. 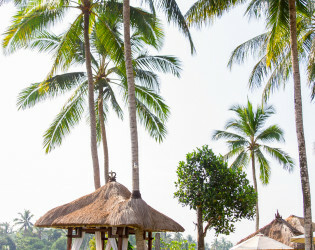 The Resort’s website provides additional information. 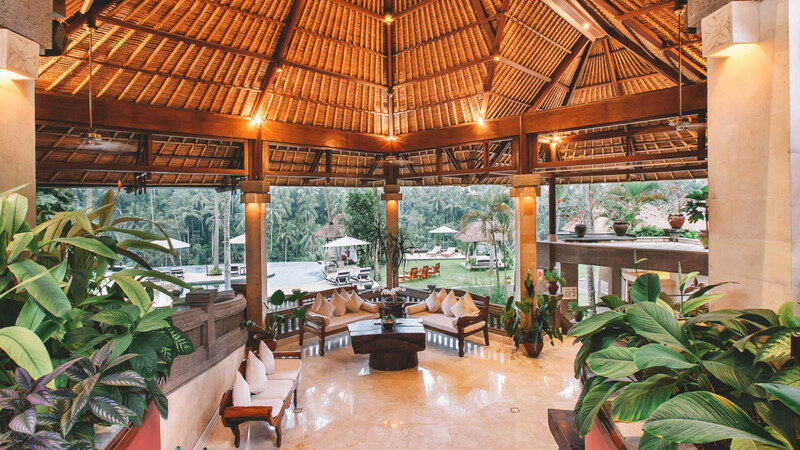 The air-conditioned conference room can seat up to 25 persons for a theater-style conference or can be prepared as a formal board room for meetings of up to 14 persons. 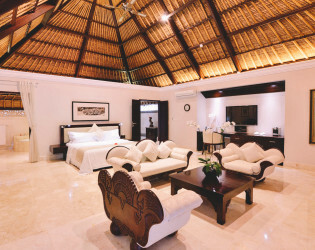 The facility is fully equipped with state-ofthe art audio and visual aids, including video projection connected to a fully wired computer system, wireless and cable Internet access, and a speaker conferencing telephone. 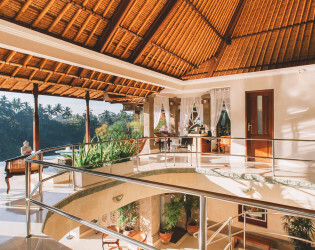 Office supplies and basic refreshments are included with bookings. 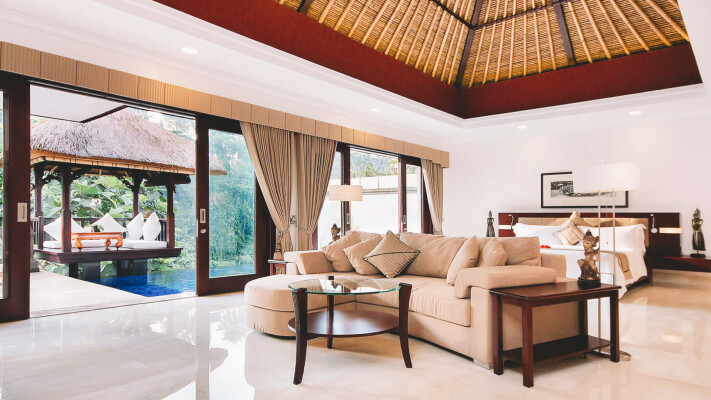 The conference room can also be converted into a mini-theater with projector screening for videos or movies. 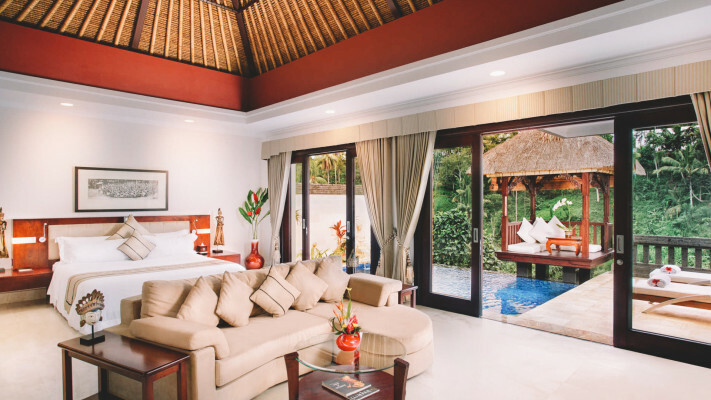 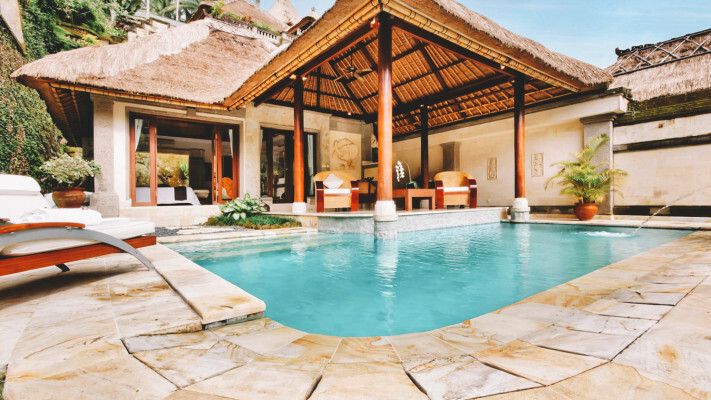 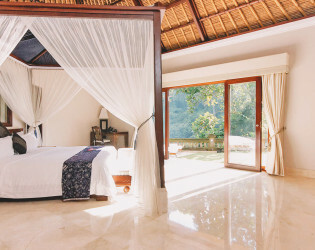 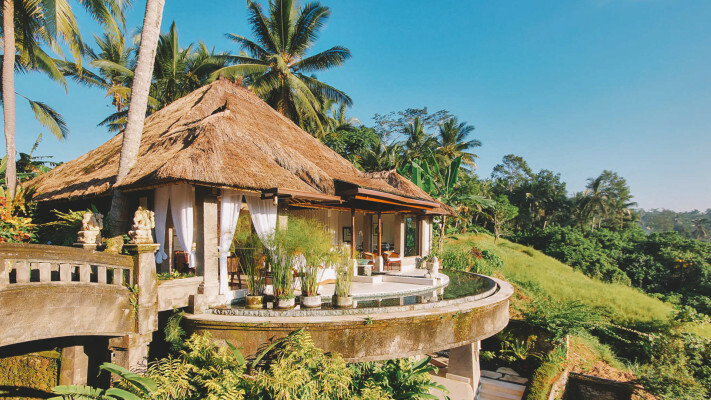 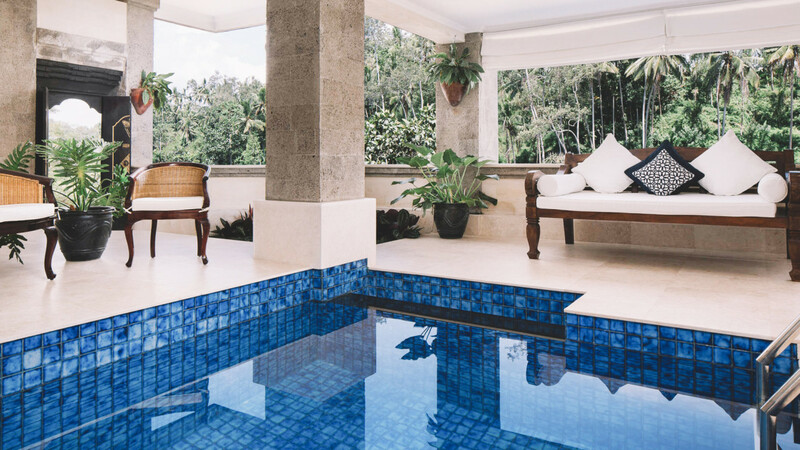 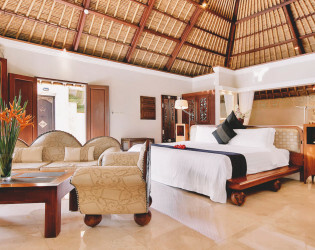 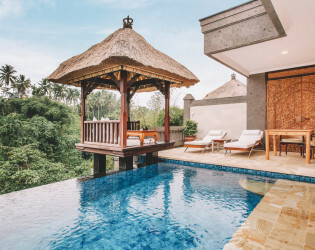 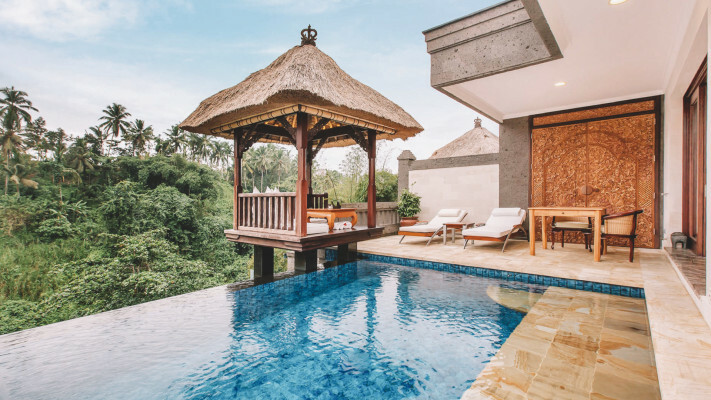 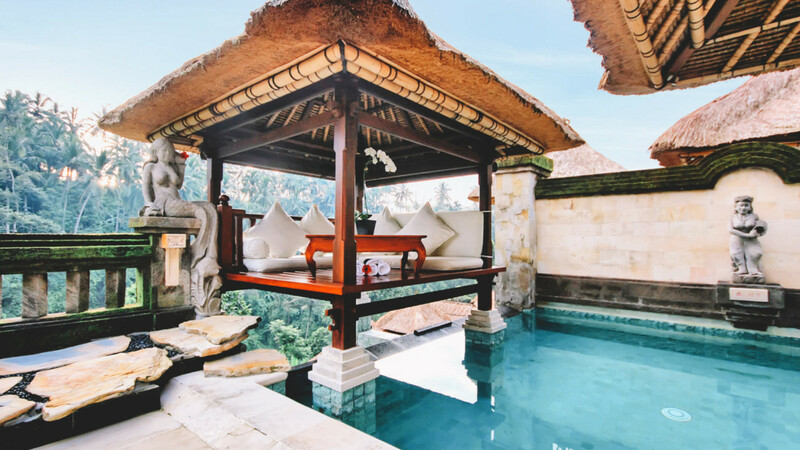 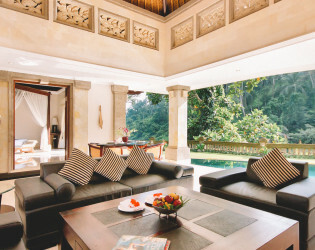 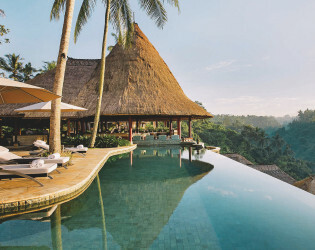 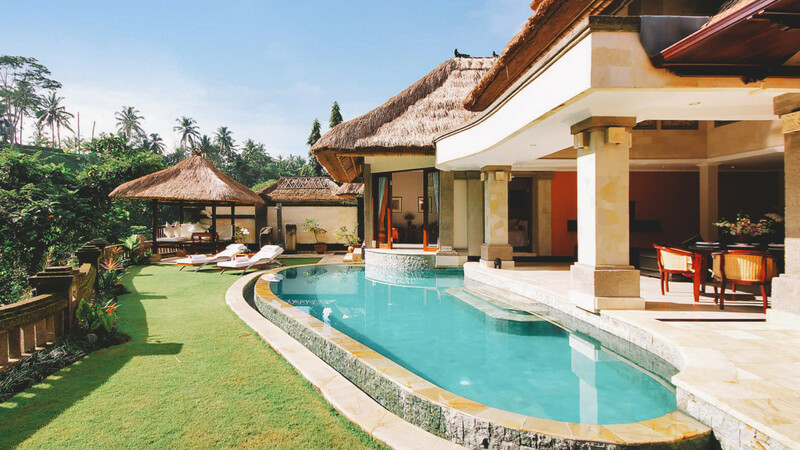 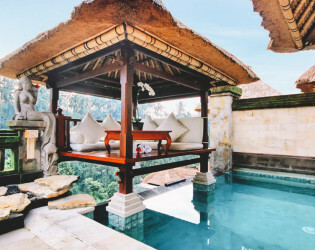 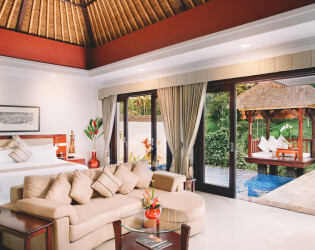 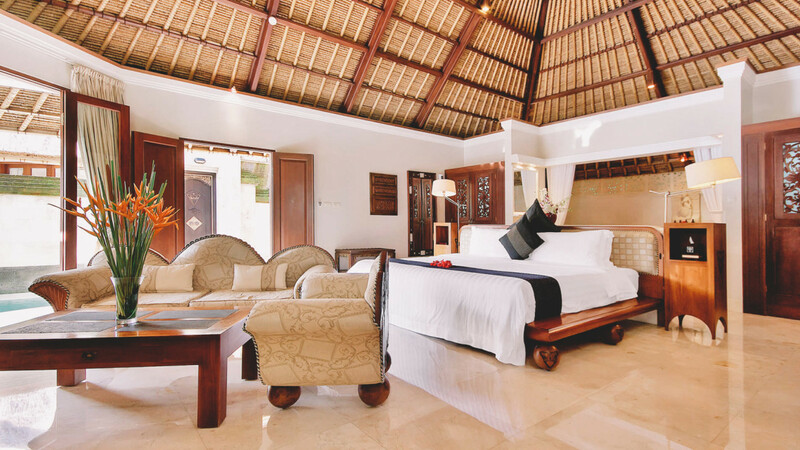 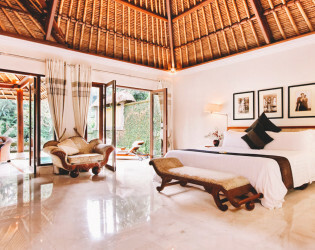 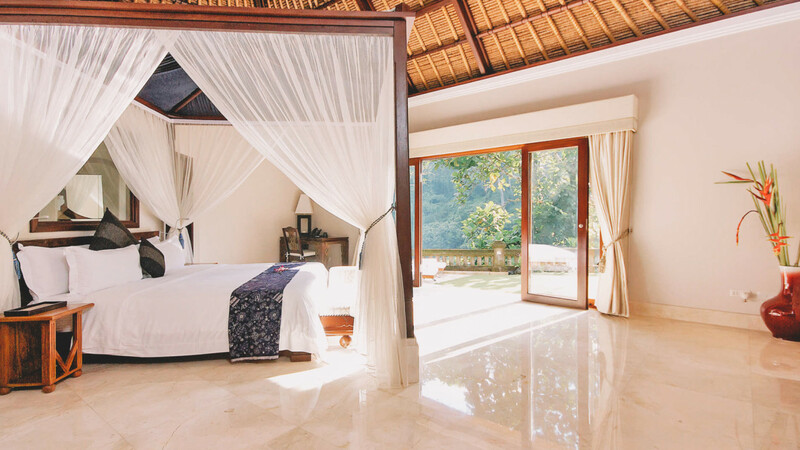 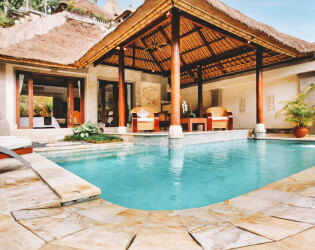 Crowning a secluded ridge above Bali’s Valley of the Kings, Viceroy Bali is a luxurious 25-villa retreat for those seeking the exclusive, the exotic, and the elegant in all things. 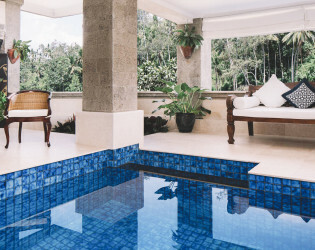 With mesmerizing views of the serene valley below, and once a favored retreat of royals, the resort offers five categories of expansive yet intimate villas, each with its own pool; attentive discreet service; bespoke facilities, including an award winning restaurant, spa, gym, onsite helipad and, coming soon, a yoga pavilion; and convenient access to the many wonders of the region. 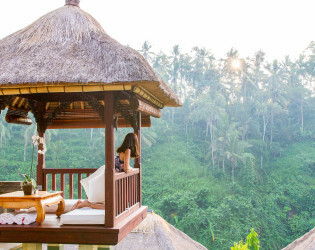 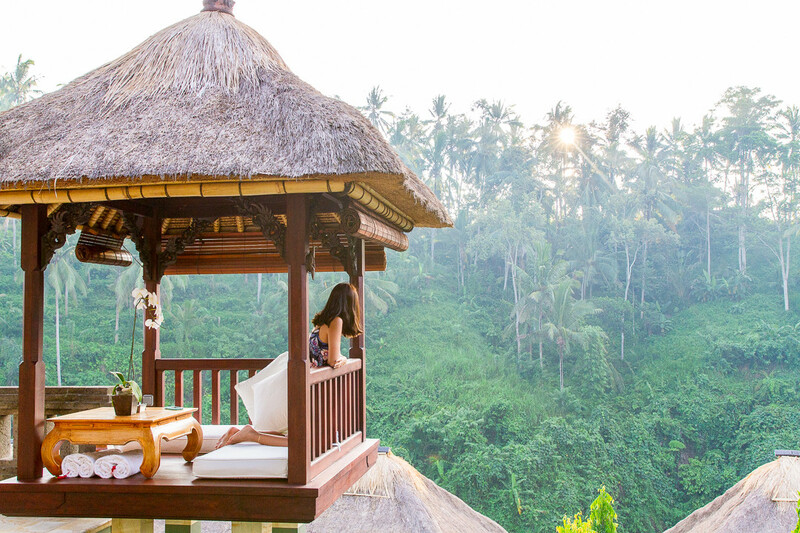 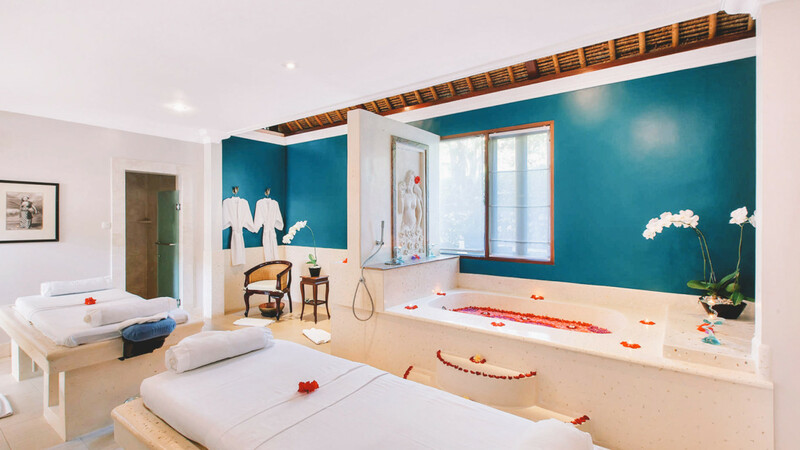 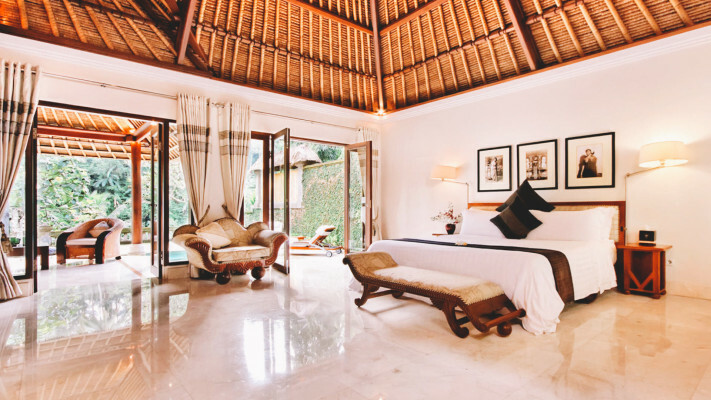 Above all Viceroy Bali provides the sophisticated traveler with the rarest of rewards while providing the ultimate in sensual privacy savored in an authentic Balinese setting. 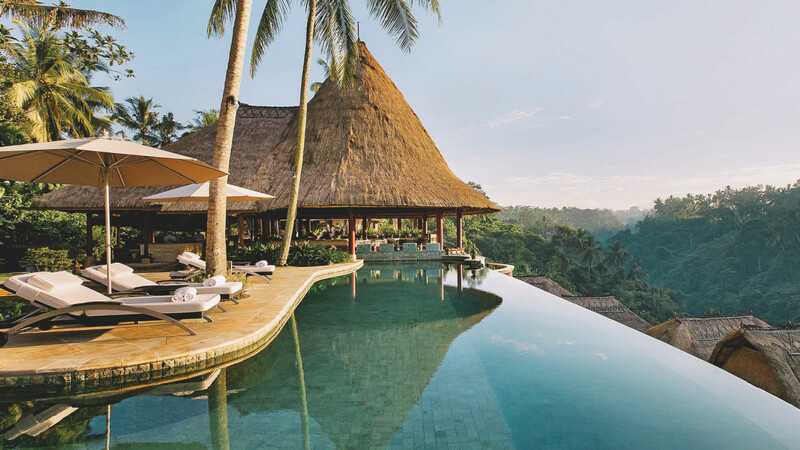 The architecture of Viceroy Bali incorporates the finest aesthetic traditions of the country of Bali and the Resort’s stunning natural surroundings while providing a contemporary, luxurious, and comfortable setting for its guests. 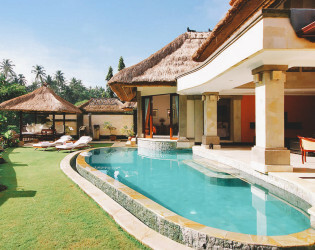 Alangs-alangs (thatched roofs), romantic balés (Balinese gazebos or daybeds), an infinity pool and swim-up bar, and open air construction create beautiful and soothing environments for relaxing, dining, lounging, and practicing the art of yoga, while each villa has its own pool and covered outdoor area, balé, expansive interior, and state of the art technology. 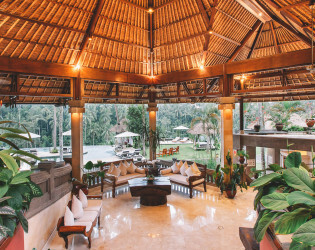 Lighting is gentle and flattering, allowing the astonishing natural beauty of the surrounding tropical gardens to create a mesmerizing indoor-outdoor living experience. 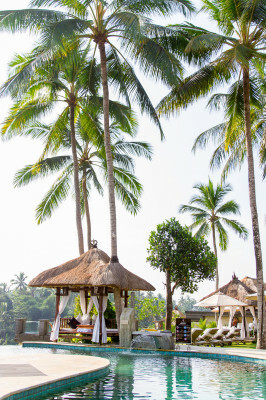 Set in a luxurious Balinese theme, and surrounded by lush tropical valley views, CasCades Restaurant is acclaimed as one of the island's top dining venues, having been named as one of Indonesia’s top five restaurants by The Miele Guide 2011/2012 and Indonesia's Best Restaurant from 2007 to 2010 by American Express and Indonesia Tatler. 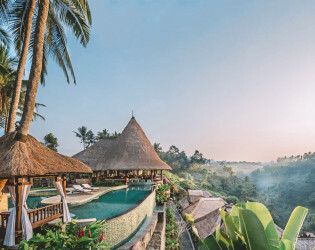 The restaurant also received an Award of Excellence in 2007/2008 by Wine Spectator for its extensive wine list comprised of over 160 quality wines from around the world. 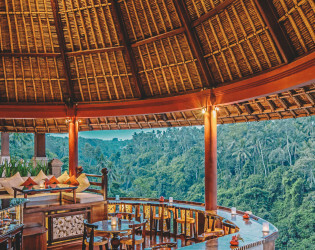 The Viceroy Bar features some of the finest wines, cognacs, scotches, Japanese whiskies, spirits, and cigars in all of Southeast Asia. 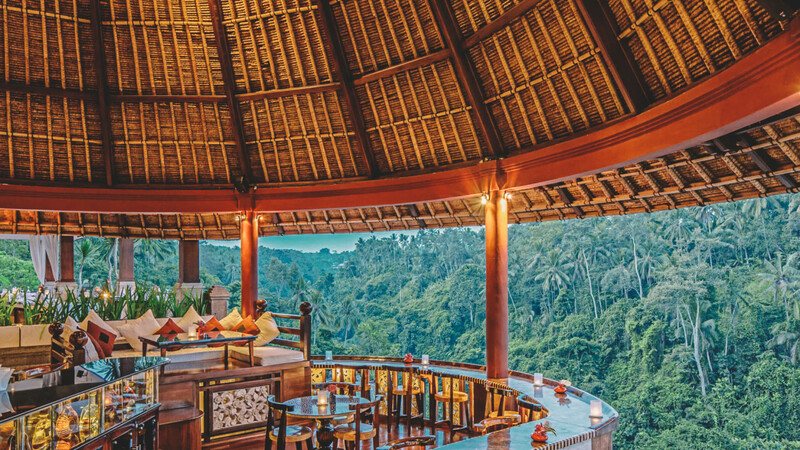 With its exceptional view of the Petanu River gorge and easy, open-air design, the lounge is a convivial place to relax before or after dinner at CasCades Restaurant or a jaunt into Ubud. The infinity pool near the restaurant also features a swim-up bar.